Søren Andersen co-designed the Three Stage Rocket – the most flexible pedal to build on the TrueOverDrive concept. But apart from having some killer ideas for pedal designs and features, Søren is also a highly sought-after rock guitarist. Right now, he is about halfway through a world tour with the former bass player and vocalist of rock legends, Deep Purple. 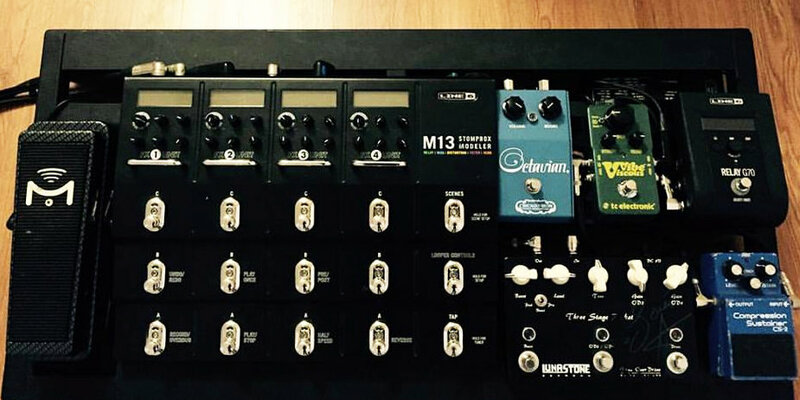 The Glenn Hughes tour has hit the shores of South America, and obviously his Three Stage Rocket is sitting firmly on his pedal board. Rock on and rock out!